Sometimes its the small things that inspire us and make us think. When I first read this question, I sort of skimmed the choices, played along, and then forgot about it. Then, on a drive to a friend’s house, I had more time to think and found myself debating the choices over and over. 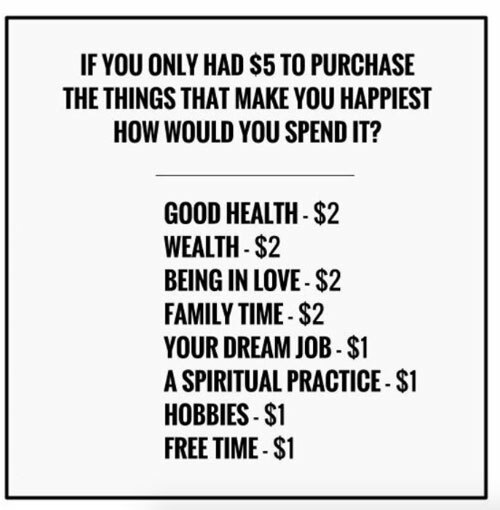 So, I’m posting this to challenge you too because sometimes its the simpliest questions that put our lives in perspective.